Tag Archive for: South L.A.
You are here: Home / South L.A. Supervisor Ridley-Thomas hosted a media briefing on August 27th to provide an update on the $1.7 billion Crenshaw / South Bay transit corridor project. In the past two weeks, we’ve heard talk about the need to expedite planning, funding and construction for the Wilshire Subway and for the Crenshaw Corridor Project. Mayor Antonio Villaraigosa held a press conference to expedite the Wilshire Subway to a faster timeline than 20 years…and I suspect most Angelenos would agree. 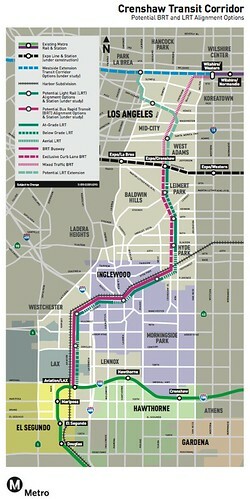 Similarly, Supervisor Mark Ridley-Thomas held his own press conference and pointed out the need to properly plan for the Crenshaw Corridor Project, which will either be a Bus Rapid Transit (BRT) or a Light Rail Transit (LRT) that would connect the Green Line to the Expo Line (the current plan … and maybe the Wilshire/Purple Line and even Red Line as well … a proposed second phase). Simply put, I think that the Crenshaw Corridor Project should be a LRT, and not a BRT, in order to avoid a repeat of the Orange Line mistake that had a cowardly political cadre in the San Fernando Valley let a few NIMBY’s spoil the lot for the majority who always, always, always wanted rail. Ridley-Thomas said the same, and I commend him for his visionary stance. CHAMPIONS: Los Angeles County Swim Team From South L.A. 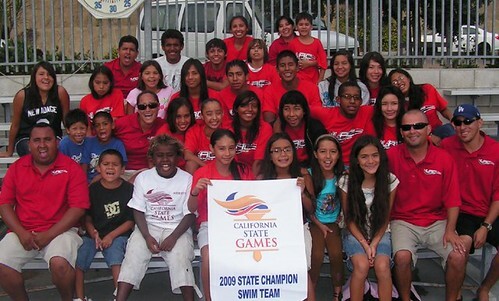 The Los Angeles County Swim Team, 97 youth from three South Los Angeles communities, won the 2009 USA State Swim Championship in San Diego on July 18. The team, representing Jesse Owens, Victoria and Ted Watkins parks of the Los Angeles County Department of Parks and Recreation, is made up of almost 100 boys and girls from 10 to 18 years old. “We are so proud of the accomplishments of these youth, their commitment and their drive to succeed,” said Russ Guiney, Director of the Department of Parks and Recreation. Competing against 20 other teams and 800 competitors from all over California, the L.A. County Swim Team garnered 100 gold, silver and bronze medals in 12 events that tested swimmers in every competitive stoke. “We shocked everyone out there. They were asking who we were and where we were from,” said Fernando Medina, swim coach at Victoria Park Pool. “We made a huge impact as a team.” Competing in the event for the first time, the team from Los Angeles County out swam perennial powerhouse teams from throughout California. The team is supported by the Aquatic Foundation of Metropolitan Los Angeles, coached by Department of Parks and Recreation employees Medina, Nick Orozco, Christina Melendez and Tony Martinez and trains at Los Angeles County pools operated by the Department of Parks and Recreation. California State Games is a festival of Olympic-style competition for California’s amateur athletes of all ages and abilities. State Games is a community-based member of the United States Olympic Committee. In addition to Summer State Games, they host the California Winter Games with figure skating, ice hockey, skiing and snowboarding. 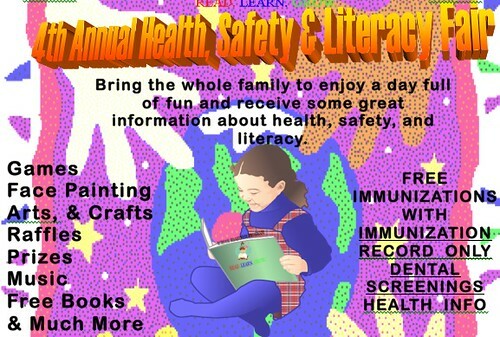 http://ridley-thomas.lacounty.gov/wp-content/uploads/2017/12/MRT-Banner_nonChairman.png 0 0 admin http://ridley-thomas.lacounty.gov/wp-content/uploads/2017/12/MRT-Banner_nonChairman.png admin2009-07-24 08:35:282009-07-24 08:35:28CHAMPIONS: Los Angeles County Swim Team From South L.A.
4th Annual Health, Safety & Literacy Fair In South L.A.
http://ridley-thomas.lacounty.gov/wp-content/uploads/2017/12/MRT-Banner_nonChairman.png 0 0 admin http://ridley-thomas.lacounty.gov/wp-content/uploads/2017/12/MRT-Banner_nonChairman.png admin2009-06-16 13:45:032009-06-16 13:45:034th Annual Health, Safety & Literacy Fair In South L.A.